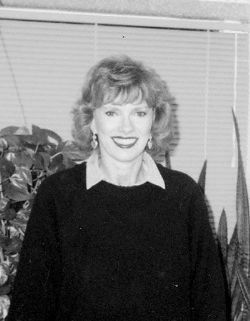 Ann Daly Orr passed away on Wednesday, October 31, 2018, at her home in Lake Jackson, Texas. Ann was born in Honey Grove, Texas, on August 9, 1938 to Elbert Fred Collard and Maxine “Stormy” Evans. Ann grew up in Dallas, Texas, where she graduated from Woodrow Wilson High School. While attending to her mother during a hospital stay, she realized her life’s calling to be a nurse. “Ziggy” pursued her education at Baylor University in Waco. She honed her skills while working in the University of Baylor Medical Center Emergency Room in Dallas. After marriage to Dr. Thomas Edward Daly II, they moved to Houston where Ann taught nursing at Texas Woman’s Hospital and worked at OB/GYN. In 1978, after serving as Director of Nursing at Texas Woman’s Hospital, she moved to Brazosport, Texas, to be Director of Nursing at Community Hospital. Other places of work were as Director of Nurses at St. Dominic Senior Care Facility (Houston) and several home health agencies in Brazosport. Ann loved and cherished her family. She met Robert Alan Orr, the love of her life, in 1981 at the Oaks of Brazosport, and nursed him back to health in early 1982. They were married on July 10, 1982 and have spent 36 wonderful years together, traveling the world and spending time with kids and grandkids. Ann is survived by her husband, Robert; daughter, Ashley Hutchinson (Anthem, AZ); son, Thomas Edward Daly Orr (Marcy) of Lake Jackson; daughter, Stacey Orr Bossert (Los Gatos, CA) and husband Jean-Charles; grandkids, Morgan Hutchinson, Cody Orr, Allison Orr, and Charlie Bossert. Extended family includes son-in-law, Mark Hutchinson; sister-in-law, Jan Collard and her children Gary and Lori; step-daughters, Debbie and Leslie Daly, and all of their families. She was preceded in death by her parents, Fred and Maxine Collard; step-father, Benjamin “Red” Ziegler; brother, Billy Fred Collard; and son, Sean Christopher Orr. Many thanks to Ann’s friends and sorority sisters who took care of her during her recovery from surgery this past summer. Memorial services will be at 2:00 p.m. at the First United Methodist Church in Lake Jackson, Texas, on Saturday, November 10, 2018, with a reception to follow. The family asked that condolences be made to her wonderful church family of the past 20 years, FUMC Lake Jackson, 404 Azalea St. Lake Jackson, TX, 77566.